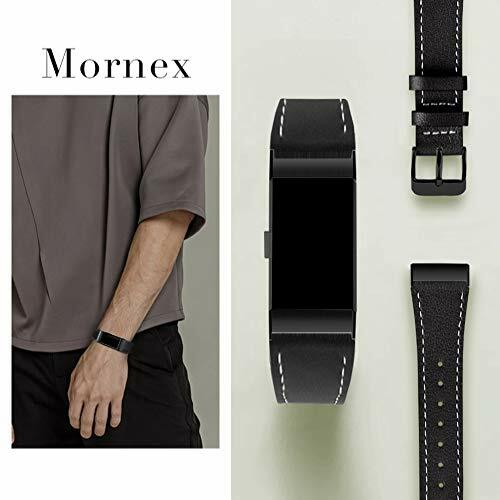 ▶Superior Quality: 100% genuine calf leather strap - soft and comfortable to touch. Slim and light weight design in rich colors, making your watch look much classic but modern from work to casual life. 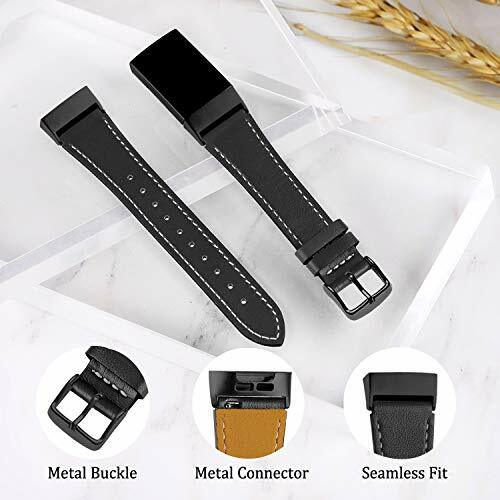 ▶Simple Installation: Premium metal connectors seamless fit with the device as original. 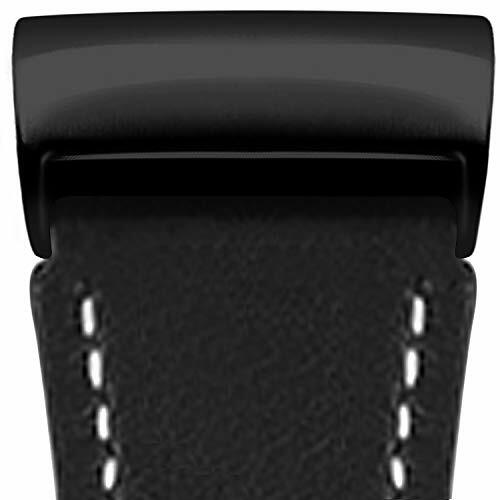 When you slide the band into your tracker, you could hear a "Click" sound, then "fell apart" issue 100% solved! 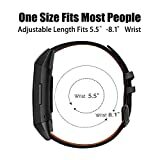 ▶Wrist Size: One size of 5.5" - 8.1", suitable for most people, no matter men, women, teenagers, or the aged. 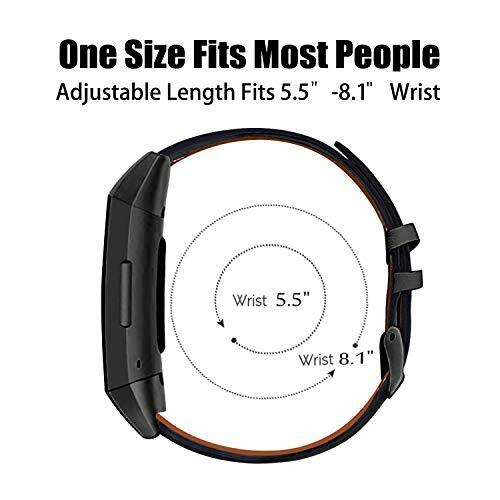 Precise multiple alternative holes allow you adjust the suitable size, with comfortable touch feeling on your wrist. 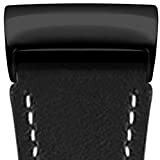 ▶Notice: Please DO NOT wear this band for longtime underwater activities -- such as shower, swimming, etc. 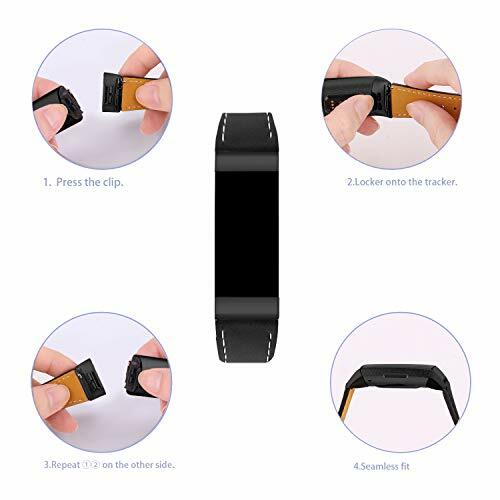 It is recommended to put it in the ventilated place after you exercise sweat. ▶Free Warranty: Guarantee of 90 days money back, providing you a wonderful shopping experience. If you have any question, please contact us without hesitation. Search "Mornex for fitbit charge 3 bands" for other accessories offered by Mornex. 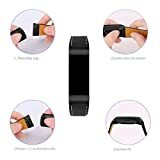 Best Choice for Fitbit Charge 3 Watch Band! 1.Stylish and classy looking. 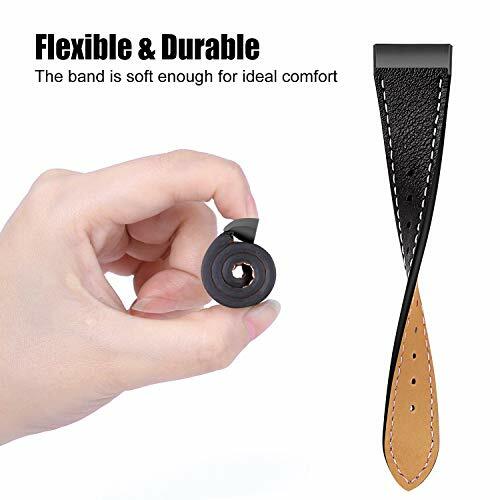 Nicer looking than original bands. 2.Genuine Cowhide, skin-friendly. Durable and comfy enough as original bands. 3.Variety Colors to match your different mood and wears. Don't worry about the social. 1.Direct sunlight, high temperatures and humid conditions can cause discoloration or damage over time. 2.To minimize damage to these bands, limit exposure to moisture and substances. 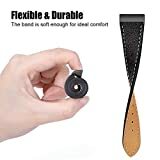 3.Leather bands aren't sweat or water resistant. Soaking them might cause damage. 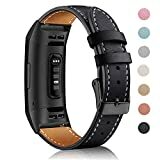 Package Included: 1 x Adjustable Wrist Replacement Armband for Fitbit Charge 3 Bracelet. 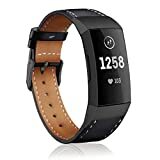 (Fitness Tracker is NOT included).